Here's a of my upcoming Digi-Scrapping Kit this month. Actually I started making this kit last February but since I became too busy with some online and offline works, I wasn't able to finish it yet. I'm still working on it right now, still adding few more elements but I'm already done with all the papers. I'm also thinking of adding some more word arts and hopefully alpha as well. 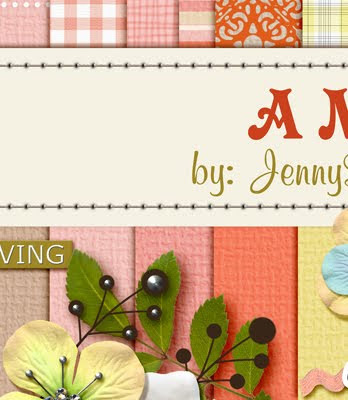 I love the color theme of this kit as this can be a versatile kit that can be used for moms and girly layouts. Hi Agnes, for now they are exclusive at Artscow only but hopefully I can sell outside. I'll just post here if I have store or selling already at kit stores. Thanks for your interest. Have a great day!